We know how much you love your Circle Swag. 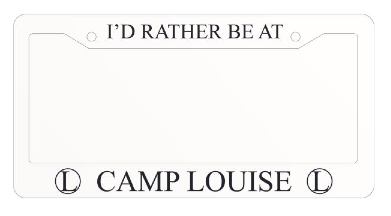 Currently, you can purchase Camp Louise Stationery and License Plate Frames. Camp Louise Stationery (formally known as Mitzvah Cards) are great to send to friends for a thank you note, Birthday cards, or just because! The outside of the card shows a beautiful line drawing of either the White House or the Library. The cards cost $2 for 1 card or $18 for 10 cards. You will be able to choose the cards that you would like. 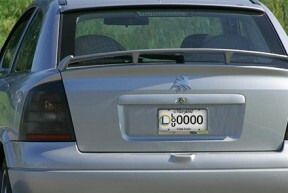 The frame is white with blue writing. Each frame is $5. All proceeds go to the Sayeret Nahal Association (a Circle Member’s husband is part of this organization). Sayeret Nahal is the special forces unit of the Nahal Brigade of the Israel Defense Force (IDF). The Sayeret Association is a non-profit civilian association composed of former combat soldiers and officers as well as parents of former and fallen fighters. The goal of this association is to help the current soldiers in any way possible- from clothing to shoes, to training, and to fun!